31.7 mpg will get the Eco-warriors up in arms! The GT3 has finally turned into a GT car... A la Continental GT! It looks great and will no doubt be legendary, but I can't get my head around that centre console in a GT3, it looks and feels bad enough in a 991/Panamera/Cayenne. Although I've no issue with this type of gearbox, it should have a manual option, surely for this type of car (and Porsche) the market would have been big enough. Maybe they'll be a manual option with the RS? Or have they made it PDK only to protect the engine somehow? IMO it may well have been designed primarily for the non-european/emerging markets(fresh 1st time buyers) where lots of people still have money to buy such cars and have not got any history or experience with the historical GT3 concept. Porsche is a global brand and is being pushed along by VAG and into markets that it did not have much presence in 10/20 years ago. 99% certain that the RS will PDK also. Why are the cups and rsrs(you know those track/race focused ones) going down a different route? Cost. The Mezger engine costs a lot more because it uses more bespoke parts. Id imagine porsche intend to sell a few and make margin. I am a "customer" and fit the profile and the appeal, to me, of the 991 just isn't there. I am not saying this to talk up values of 997's or 996's but i don't want a rear steered, pdk boxed, bigger, uglier (personal view), centre console from a Panamera'd, 20 inched wheeled, electro diffed GT3. Don't care if its faster, theres loads of cars that are faster on a track, and some of them cheaper. When the 997 came out i really wanted one badly, this one isn't pulling the same strings. Other people coming to the cars from a different place will think differently and thats fine too. I think it's the people coming from a different place (Ferrari, Aston etc) that Porsche are aiming for as much, if not more than, those that have already been converted. 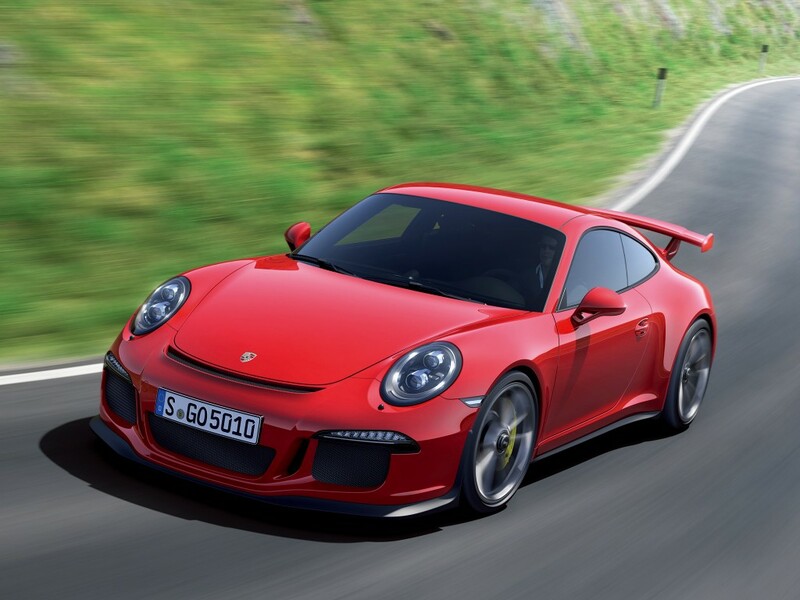 I am pleased to inform you that the new Porsche 911 GT3 model was announced in the world’s press today. The latest 911 GT3 model boasts a newly developed 3.8-litre engine which produces an impressive 475 hp, powering it from 0-62 mph in just 3.5 seconds. As standard, the car now comes with a race-bred Porsche Doppelkupplung (PDK) gearbox with shorter ratios for impressive acceleration. Gears are changed via paddles on the steering wheel, the throw of which has been shortened for an even sportier feel. A first on a GT3 model is rear wheel steering that greatly improves the directional agility of the car in all situations. The body of the car is 44mm wider at the rear than the previous model providing more grip, coupled with the 100mm longer wheelbase for extra high-speed stability. Externally, the GT3 specific design touches are obvious, including a bespoke wing mirror design and aerodynamically enhanced front and rear spoilers. The new 911 GT3 model will be on sale from November 2013 and is priced at £100,540.00 (incl. VAT). The price includes a Porsche Driving Experience at Silverstone, as well as a three year warranty. An order for this new Porsche model can be made by placing a £10,000 deposit, however, please be aware that due to the specialist nature of the 911 GT3, there will be relatively few cars available for purchase. Therefore, we can not guarantee that all interest will be successfully fulfilled. Should this be the case, your deposit will be refunded in full. 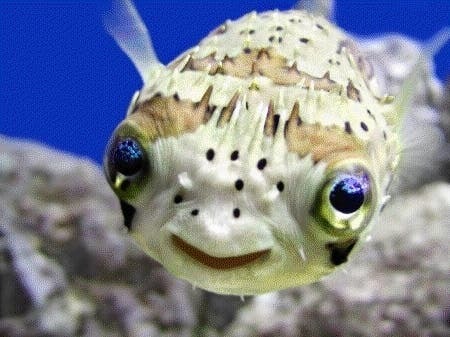 This is my favourite pic so far - such a cute smiley face! Id love that gearbox in mine tbh and that spoiler looks *****. i don't want a rear steered, pdk boxed, bigger, uglier (personal view), centre console from a Panamera'd, 20 inched wheeled, electro diffed GT3. Exactly how I feel about it. No doubt it's opened up the car to a wider market, but I can't imagine that most 996/997 GT3 owners would feel the same about the 991 version. There's no way they could lose the centre console just for the 991 GT3, but it looks so amazingly out of place. And no manual, as much as I try, I just can't get over that. How's it going mate, we need to get another European trip organised. price considerations aside, would you not prefer the 997.2 3.8 GT3? For everyone wanting the perfect GT3 (or at least the newest), this will render the 997 predecessors old hat and result in crushing market dumping of the old guard. good mate, deff need to get to the Ring or Spa in the next couple of months. Can't believe you havn't changed your car . Sold the 996 and have bought quite a few other things you would disapprove of. Just re-reading this thread. I think the only reason I like this car is because it exists, in that it's a new GT3 and Porsche are still making them. Other than that, yes I want one because it's new and shiny, but it's definitely quite a radical departure and I don't think in a good way... Might change my mind though when I finally get to see or drive one.